If This, Then That. Wait, what ? You just got back from your trip to Australia, and there is this cool picture of you in Australia you really want to share with all your friends. You know you will have to share this photo of you riding a kangaroo on-every-single-social-network you are on. How many is that again ? Oh, definitely more than three. Do you know what this means ? Yes. You are going to repeat the exact same step every-single-time. Now I am asking you : aren’t you tired of constantly repeating the exact same task ? It would be great if in one, and one action only, all these repetitive and boring tasks could be done all-at-once. 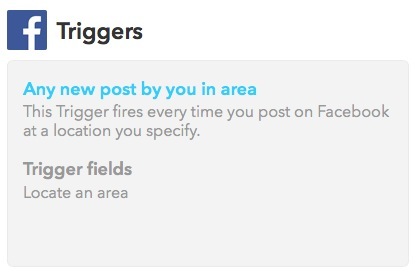 Well, IFTTT – If This, Then That – would be the solution to your problem. 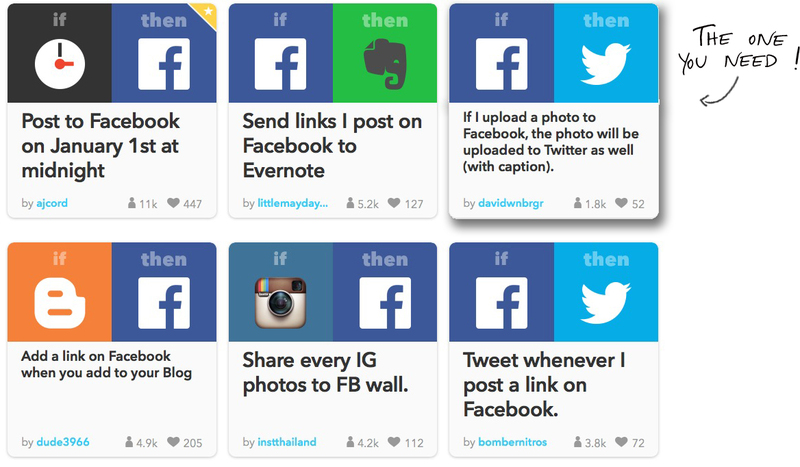 IFTTT – pronounced like lift without the l – is an app that manages links between your different accounts and actions. Many linked actions, or recipes, are displayed on the app. The only thing you need to do, is to select one of these recipes, and let IFTTT do the rest of the job for you. Clever isn’t it ? But what happens when you cannot find your perfect recipe ? Well, this is when the trick comes. As a matter of fact, IFTTT is an Application Programming Interfaces – API – which allows different applications to interact together. This, allows every user to turn into a programmer and develop their own app, which facilitates the app-creating process for everyone. Also, experts in programming can use this service as well : indeed, they do not have to share their codes with the community, and therefore risk their codes to be stolen. Users can therefore develop their own recipes after selecting two accounts, or channels, and linking them to two predefined actions, or triggers. In reality, channels are not online accounts only. Indeed, some of them can control certain internet connected devices such as Philips Hue light bulbs, Dash – which tracks your driving data – or WeMo – which allows you to switch on/off your light from anywhere – for example. Thus, you select the channels you want to program and the predefined triggers. Passive : actions are automatically executed by the channel itself i.e weather forecast. Creating a recipe is not about building an action you wish existed only. Indeed, it is also about personalizing, and being more accurate on your trigger and the action you take. For example, you might not want to receive all the photos you post on Facebook in your Dropbox, or maybe you do not want to receive the weather forecast every day by text, but once a week by email. This, is the recipe I created for myself. Thus, I do not have to check all my forecast websites every day, but just wait for my iPhone to tell me when it is time to go surfing ! To sum up, IFTTT is an extraordinary application which allows Applications to interact with each other. Many recipes are available and, if none matches your needs, you can create it yourself, just like a developer ! This, will avoid you to do repetitive boring tasks, and therefore, make you gain time ! Previous PostStar Wars: The consumer strikes backNext PostWhat should the ideal online community be?